BJP today alleged that Himachal Chief Minister Virbhadra Singh took “bribe” from a private power firm, calling the case a “test” for Sonia Gandhi and Rahul on how they respond after their “anger” and outbursts in the Adarsh housing scam. Demanding a CBI probe into the “most open and shut case of corruption”, BJP leader Arun Jaitley, who has written to Prime Minister Manmohan Singh, wanted to know what action he, the Congress President and Vice President would take against Virbhadra Singh. Singh has been accused by BJP of taking the “bribe” for granting extension to a private power firm for a project. Singh dubbed the allegations of corruption made against him as “false and highly defamatory” and said he was ready to face any enquiry ordered by the Prime Minster. The Congress while dismissing the allegations dared BJP to go to courts or appropriate investigative agencies if it had any proof. At a news conference in Delhi, Jaitley also alleged that the wife and children of Singh were made shareholders in another firm of the same promoter, who owns the power company, apparently in exchange of the favour showed by the state government. “This is a test for Congress too. This is a test for Sonia Gandhi and Rahul Gandhi too. Do they still feel angry on seeing these facts…. This will show if their recent outbursts on corruption in Adarsh case was a put on…Or it was a genuine reaction or was it a contrived anger,” he said. In his five-page letter to the Prime Minister, the Leader of Opposition in the Rajya Sabha said these are cases which require an immediate investigation by both the Income Tax authorities and also the CBI. 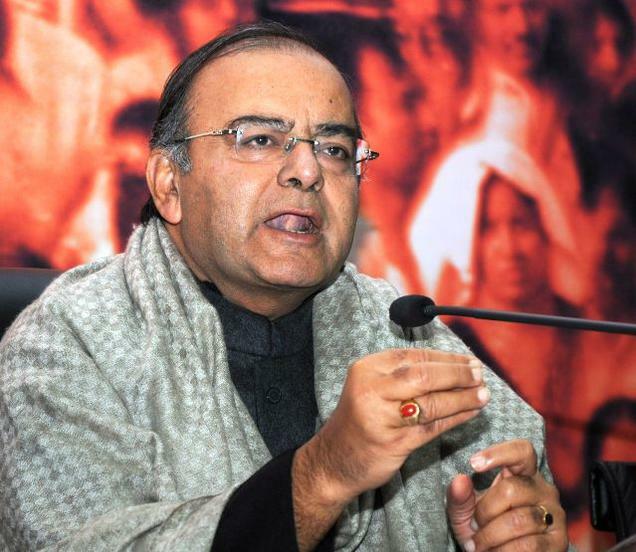 Congress spokesperson Sandip Dikshit said Jaitley’s allegations do not mean much. “…Such things have come earlier also. Earlier when Virbhadra Singh was not Chief Minister and there was a BJP government in Himachal Pradesh, many allegations were levelled against him but nothing came out of them at the end of it as inquiries were held,” he told reporters in Delhi. “If he (Jaitley) has evidence, let him take that to the court or to the investigative agencies,” he added. Singh said the allegatiosn are a “sinister attempt” to tarnish his image. “I will take appropriate action at appropriate time including legal recourse”, he told mediapersons in Palampur.